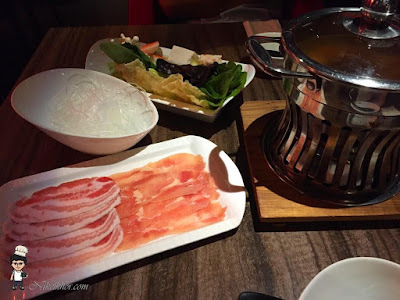 We have been looking for refined steamboat in town and this Japanese steamboat restaurant (formerly, Shogun Japanese Buffet) in Taman Pelangi has attracted our attention for some time. Only recently, we got the chance to try it out. The indoor setting is magnificent with the wooden-made fit out. 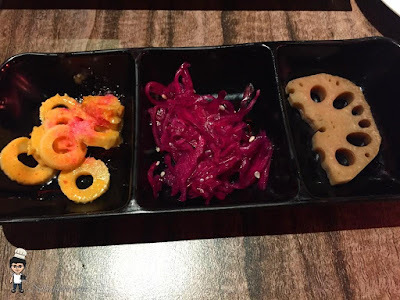 Our meal started with the complimentary pickles. Well. very appetizing and make us even more look forward to our main course. 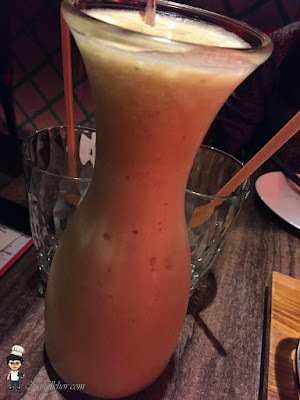 It wasn't showed in the menu how big this juice looks like, but we knew the size of it from other tables who were having the same drinks and realised that it is more than sufficient for sharing purpose. The juice is freshly made, and the combination that we chose for is more to sourish, it would be good for digestion after a heavy meal. 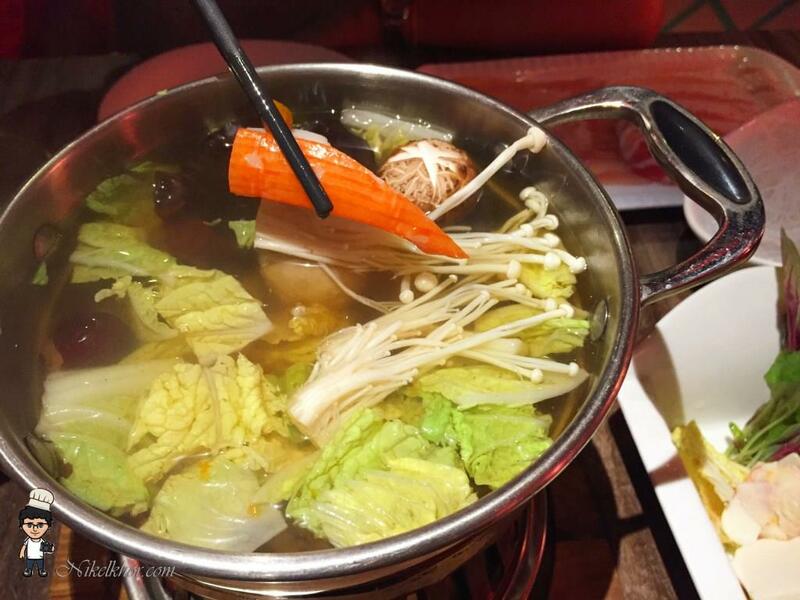 There have few other shabu shabu sets for the diners to choose from, beef set, seafood set and if not mistaken, vegetarian set as well. The glass noodles is optional and can be replaced with rice or other noodles. 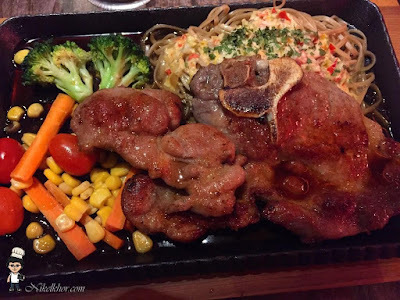 The portion is just right to get rid my hunger, but not overly full. 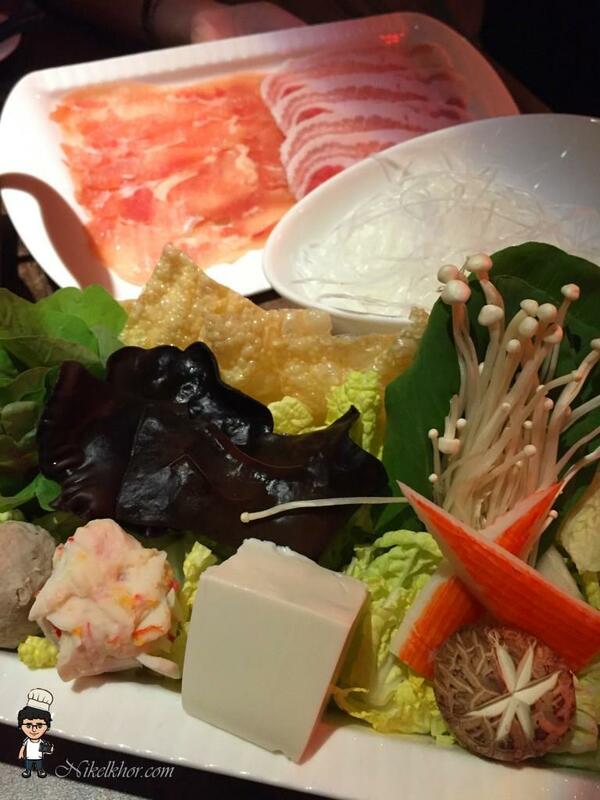 If you are big eater, Bushido has the ala carte menu for other steamboat ingredients as add-ons. It is just recently that we are more inclined to have ala carte steamboat or steamboat set, than steamboat buffet. Perhaps we are no longer big appetite as previous, so a set meal with quality ingredients (and not quantity) will satisfy us better. There are several soup base to choose from, please bear with me that I could not recall what we have opted. However, the double boiled soup is really flavourful and no doubt, my glass noodles has become a right choice to absorb all the goodness in the soup. This is another score point for Bushido. Other than steamboat, Bushido serves other dishes too. With the variety of foods, it may cater everybody desire if you are going with a group of friends.